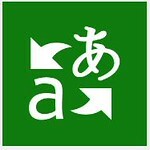 Window's Translator for foreign languages. Click on the green icon to download. ALL GREEN TEXT IS A LINK. On Bath Rd, in Beckington England. in The Gospel Centre, 2 George Main Road, Victor Harbor, Australia. Uniting Church, 49 Marlborough Road, Wellington Point, Queensland, Australia.